Introducing John “Hai” Knapp from Lincoln, Nebraska. Inequity in health care, broken justice and immigration systems, corporate greed, and all forms of bigotry are serious problems facing our society. 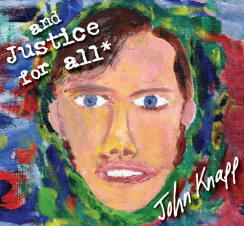 This album is dedicated to the hope for peace and justice on our planet, to the cause of affordable health care for everyone, and to promoting awareness and acceptance for those who live with disabilities, like John. John is an “Aspie”, one who lives with Asperger’s Syndrome, a condition on the autism spectrum. John's life hasn't been easy - he's experienced prejudice and abuse from people who don’t understand, had difficulty finding employment, even though he's highly qualified, and for much of his adult life he had no health insurance. Yet he lives with gratitude for the gift of life, and for every opportunity to make this world better for others. Available SOON thru CD Baby, orr direct from our online store! In 2003, 26-year-old Harold Kilpatrick, Jr. of Dyersburg TN lost his job, and along with it, his health insurance. 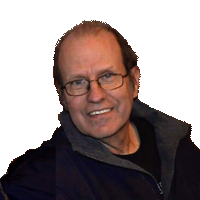 No longer able to obtain medications necessary to control his mental illness, his condition deteriorated. In a psychotic state, he held a room full of college students hostage, before being killed by the police. This is just one example of the brokenness of “the world’s best” health care system. More "stories behind the songs" and lyrics to come soon.